As esports grow in popularity, it's games like Overwatch and League of Legends that are taking global stages in front of massive Twitch audiences. Meanwhile, there's a small but rising segment that has less recognition, for now at least: mobile esports. With Hearthstone and perhaps the occasional Clash Royale tournament as rare exceptions, mobile games have been unable to gain standing to match their console cousins. But co-founder and CEO of nWay Taehoon Kim believes that his studio's mobile fighting game, Power Rangers: Legacy Wars, is on the forefront of a major shift in how mobile esports are perceived. "We created a game where you have your phone in your pocket, and you're playing with a live opponent in less than 12 seconds"
From the beginning, Kim said, competitive play was on the minds of the developers at nWay, and not just as a gameplay feature, but as a centerpiece. The team looked at the existing fighting game community for console games, and saw something they could emulate in mobile form. "The first game we developed at nWay is a game called Chrono Blade," he said. "It's an action-RPG, mainly single-player, but we had a PvP feature where you can take your character and fight live opponents. That was really popular, but we didn't make it the main feature because we weren't 100 per cent confident with it. After launching, we felt confident that we should go all-out. "When we first made [Legacy Wars], we really wanted to make a real-time, synchronous fighting game. The whole EVO scene is incredible, but mostly on console or PC. So we wondered, could we do that on mobile? We looked at the mobile scene and saw mostly single-player games. So we developed our own technology to make fast action gameplay work on mobile." nWay's system is, according to Kim, unique for its genre and platform, which has helped it carve out its place among fans of competitive fighting games who prefer the convenience and low expense of their phones to purchasing the latest console. "There are other [mobile] fighting games out there, but they are all single-player experiences, where you just compete to get a high score or see who can advance furthest. But Legacy Wars, kind of like Clash Royale, is the only game in its genre where you have to play with other humans. The best game experiences here at nWay were having friends over to our place and playing Street Fighter on our Nintendo. We are really proud that we created a game where you have your phone in your pocket, and you're playing with a live opponent in less than 12 seconds." "We got a call from his mom, 'My son's saying he has to go to Seattle for something. Is this real?' And he came, and he was one of the best players"
At launch, Kim said, the team wasn't exactly esports-ready. Even though the game made its esports debut at Amazon's Mobile Masters tournament in Las Vegas just a few months after its release, he admits it didn't quite have the features and support it needed to really make a splash as a major esports game; not the way World of Tanks and Vainglory, which were also at the tournament, did. Nonetheless, Mobile Masters 2017 proved beneficial to Legacy Wars by demonstrating that esports competitions were accessible to everyday players. 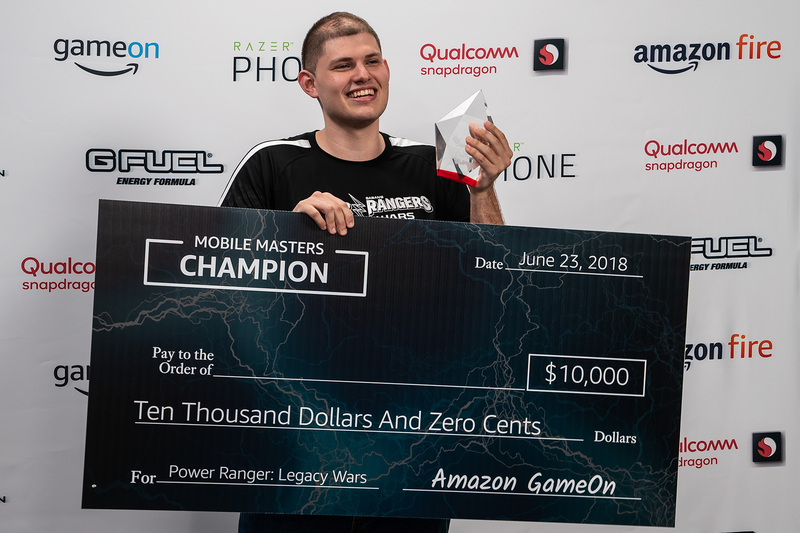 While games like Vainglory had more widespread traction due to established esports teams competing, the 2017 players for Legacy Wars were skilled but largely untested gamers who saw a qualifier one day and thought 'Well, why not?" For example, the winner of the Legacy Wars competition at the event in Las Vegas was a dad who snuck in practice games while his daughter was taking naps. At the time, he never imagined he'd be on stage in Las Vegas at an esports competition. 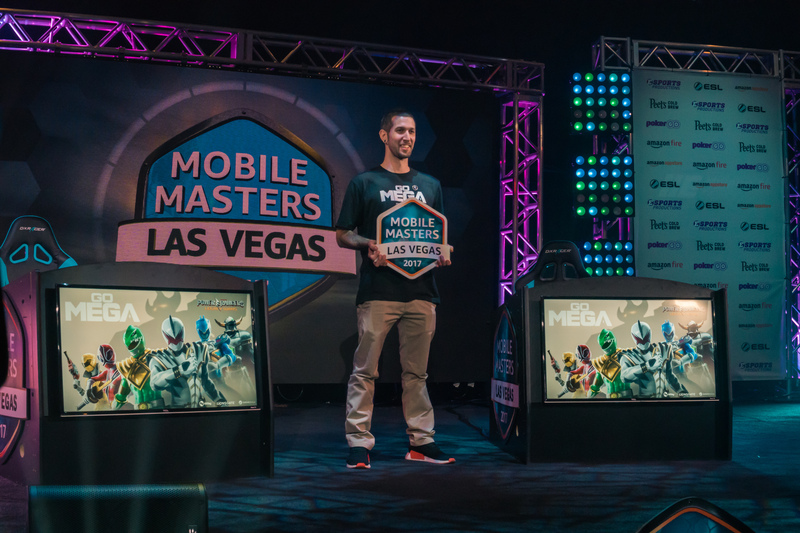 "Mobile Masters helped legitimize the game with its top players," said Kim. "It gave the players a whole new tier to strive for. A lot of our players, it was their first time playing fighting games. Mobile games have a broader reach; it's a lot more acceptable, because everyone has phones. It helps get people into the competitive gaming scene, and get people into esports." The game returned to Mobile Masters earlier this year, this time in Seattle. And though the pool of players competing in qualifiers was far larger, Kim said the event saw similar stories. It wasn't necessarily famous streamers, gamers, or esports personalities making it. 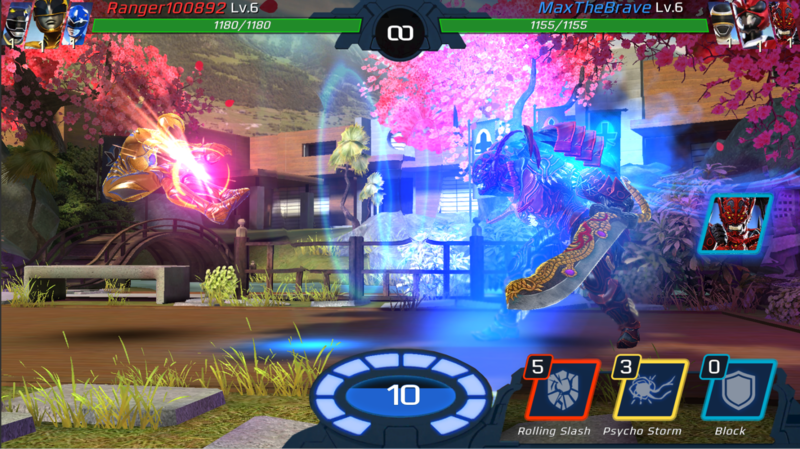 Legacy Wars was a game that anyone with skill and practice could compete in. "We had a much bigger build-up this year; we had 12,000 players enter the qualifiers," Kim said. "Because of the bigger reach, we had a bigger variety of people participating globally. One example is one guy from South Korea, who is 19 and has never flown outside the country before. We got a call from his mom: 'My son's saying he has to go to Seattle for something. Is this real?' She was really worried. And he came, and he was one of the best players." "You can be a casual player, but there's a difference if you've actually played a game or not when you're watching it"
That's where Kim wants to take the game. He sees Legacy Wars as a leader in mobile esports, and a game that can pave the way to making esports at large more accessible to more people. To start, Kim is considering opening the floodgates by bringing the game to other platforms, such as consoles. Though mobile is where accessibility lies, the popularity of controller-based fighting games can help lend legitimacy to what nWay is doing while broadening the game's appeal. And because of the tech the game is built on, adding platforms won't hurt the team's development resources in the long-term. "Our technology is truly multiplatform," Kim said. "That's why it can work on mobile, because there's so many operating systems...I think we can have that flexibility because our backing tech and support is so good. We can go from something like what we have now that's touch-based, to something that is controller-based and requires less latency. We can do both." And Kim hopes that others will follow in his footsteps, too, whether from mobile to console or console to mobile. "Mobile esports needs more games that focus on synchronous play. Without it, it's not that fun to watch. Fortnite is now on mobile, and what's great about Fortnite is that it's one build, multiplatform. Which means that all they have to do is update that one build and it's live on all platforms, compared to other companies that need separate teams for mobile, console, PC and do separate updates." Even so, Kim is dedicated to using Legacy Wars to grow mobile esports specifically, which he sees as a key to opening up esports at large to a much broader audience. Part of that is the sheer convenience of the technology, which can transform competitions from complex, coordinated gatherings to instant, seemingly spontaneous events. "For PC and console esports, there needs to be a set-up," he said. "There has to be a venue that's set up with a PC or console. But with mobile esports any venue can be a place for competition. What that means is we can combine a lot of the offline events with other physical events. One example is, we partnered with the NBA Celtics at a play-off game. During half-time, they did an announcement: 'Okay everybody, play Legacy Wars and the winner will get a gift card.' So everyone at the stadium could compete. There can be a lot of things like that going forward, combining an offline event with a game competition. That's something we can do only with esports on mobile." The other part is, as Kim mentioned repeatedly, accessibility. Tournaments like Mobile Masters are one, large-scale way to show that players can work hard and make it big, but esports isn't just about being a champion at something. Kim sees the simplicity of mobile as a way to invite more people to not only compete, but also to self-organize, watch, or even just talk about esports. "Mobile is all about accessibility. Everybody has a phone. Because of that mobile reach, a lot of people can get into it and try it out right away. Someone can be like 'Hey I'm playing this game, want to try it?' They have a phone, so they can try it, and if they like it when they get home they can try it on their console. As more and more games become multiplatform and more and more games get on mobile, we'll have more and more people participating. "Soccer is huge on the global stage because you just need a ball. It's so easy. Anyone can play soccer. That accessibility makes it really big. You can be a casual player, but there's a difference if you've actually played a game or not when you're watching it. If you've never played a game, it's not that fun to watch. So I think mobile esports is going to become bigger and bigger for the same reason. It will really increase the funnel in getting people to participate in competitive."